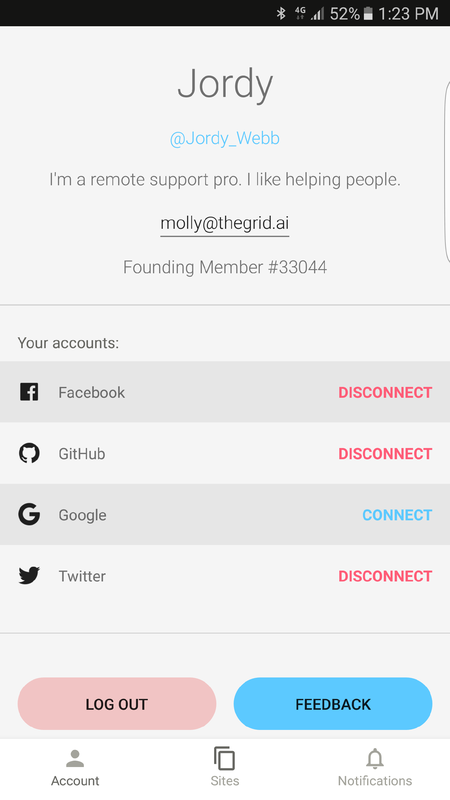 When you log into your account on your Android, there's a lot you can do right from your dashboard. Click the dropdown to see your current list of sites. The three dots in the upper right will open your site settings. Read more about that here. Your action tabs are next. These are your tabs Published, Unpublished, Nav, and Design. More on Publishing and Unpublishing here. Under the action tabs Published and Unpublished, you'll see post thumbnails/previews. 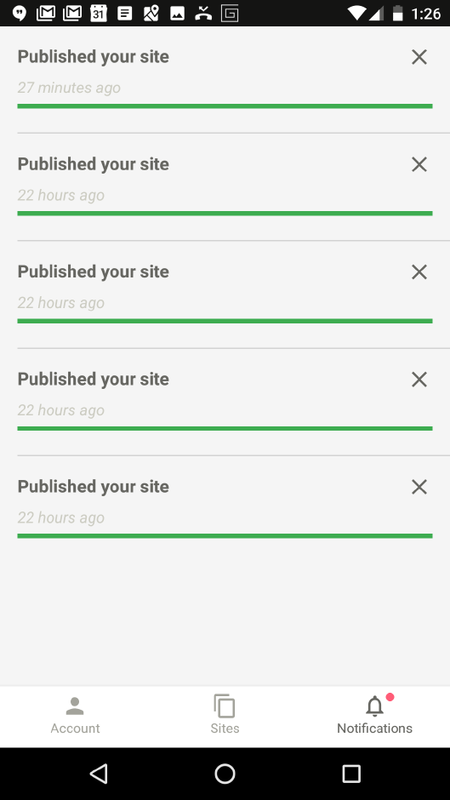 Published posts are live on your site, while Unpublished posts are drafts and aren't live on your site. 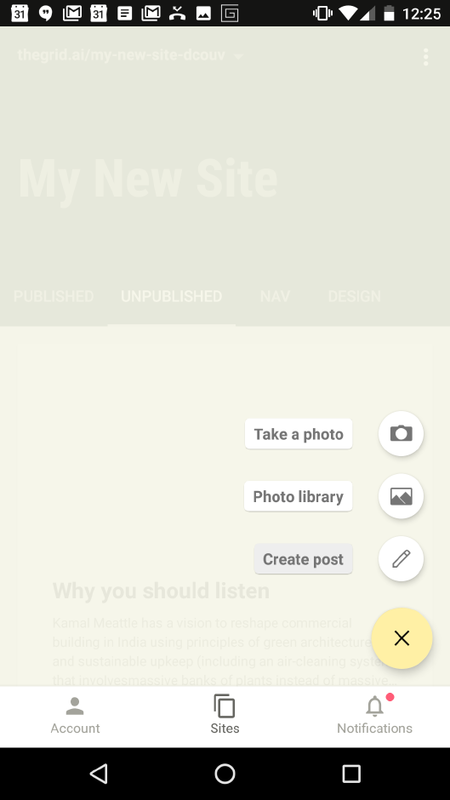 The Nav tab is where you can add and edit your navigation links and redirects. 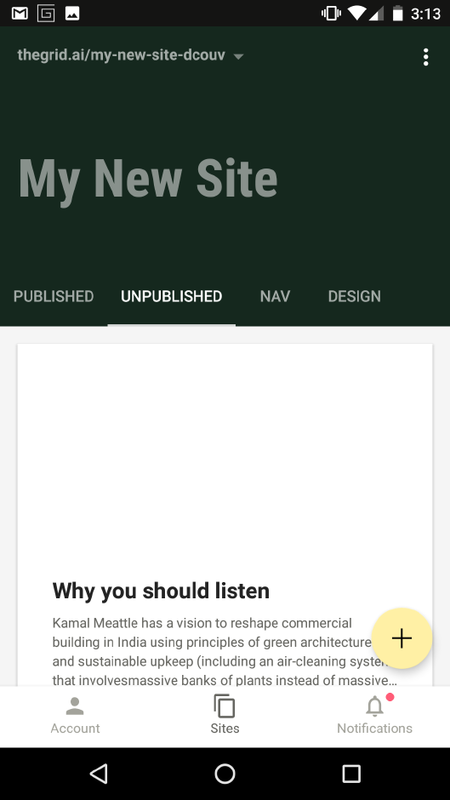 Click the Design tab to redesign your site. Change your layout, color palette, typography, and filter preferences. 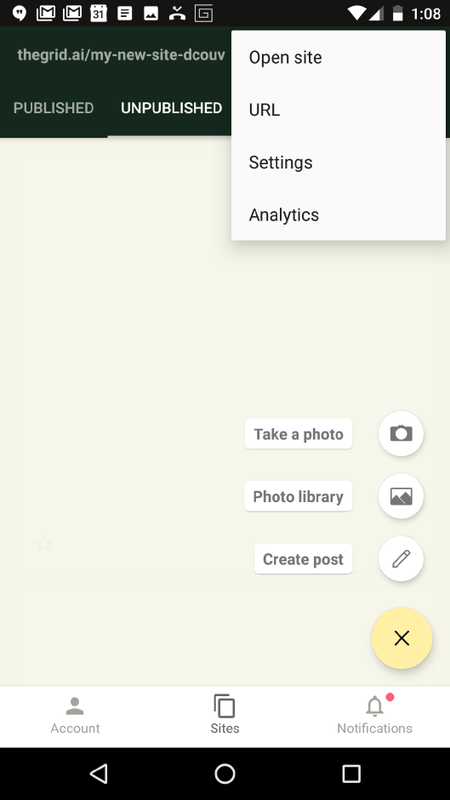 Click this to add content, photos, blog posts, URLs. Photo Library - Opens your device's photo folder. Choose photos to upload. Create Post - Opens the Post Editor. Read about this feature here. This is where you will find your account info. More on that here.